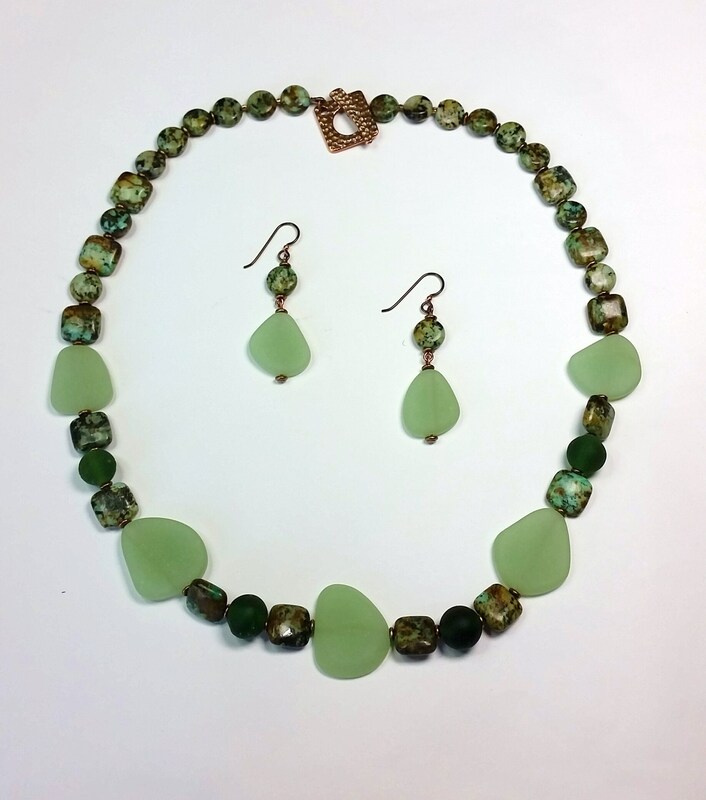 I have paired cultured light lime green beach glass, free-form flat beads with forest green round sea glass beads and variscite beads. 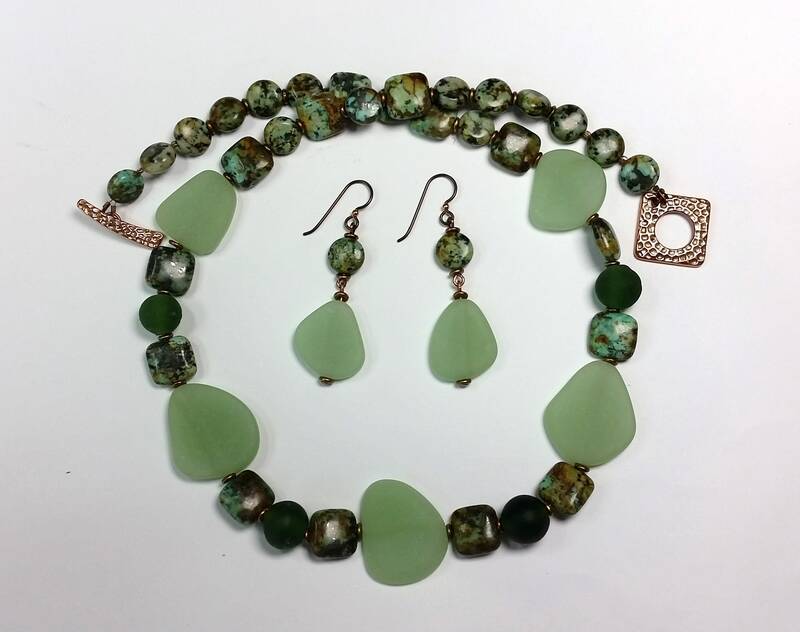 Variscite is a natural stone that looks a lot like turquoise, but it's main mineral phosphate . 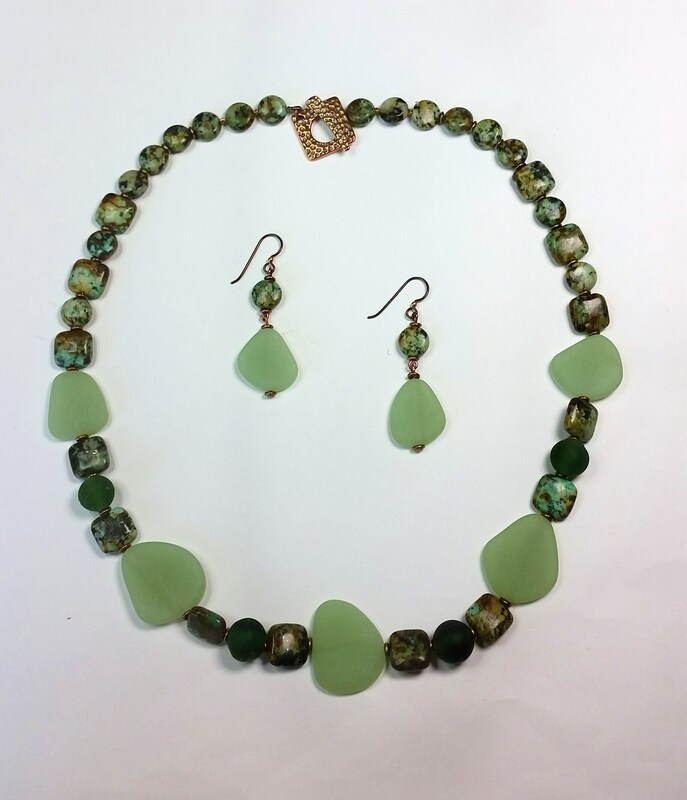 The variscite bead shapes are small puffy round coins and flat puffy squares. 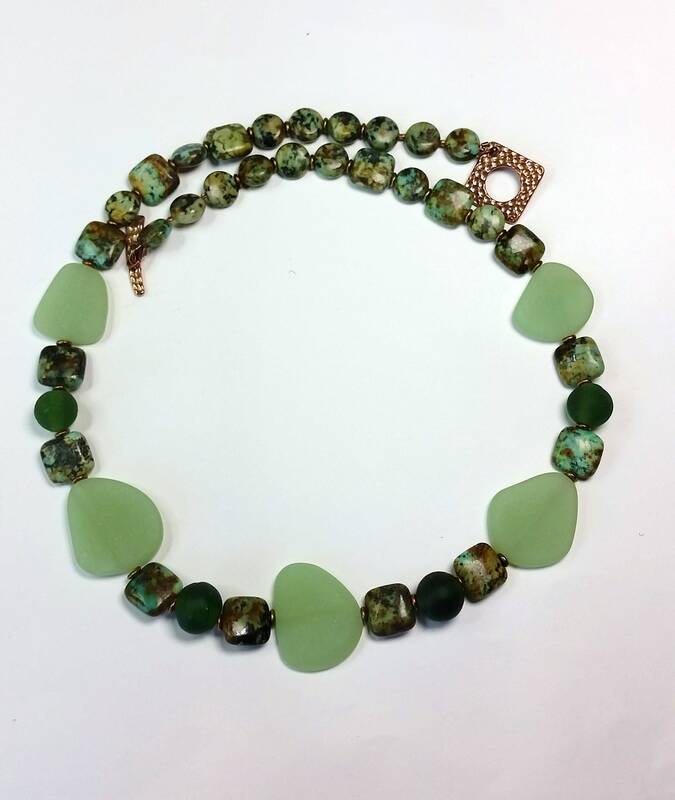 This necklace Measures approx. 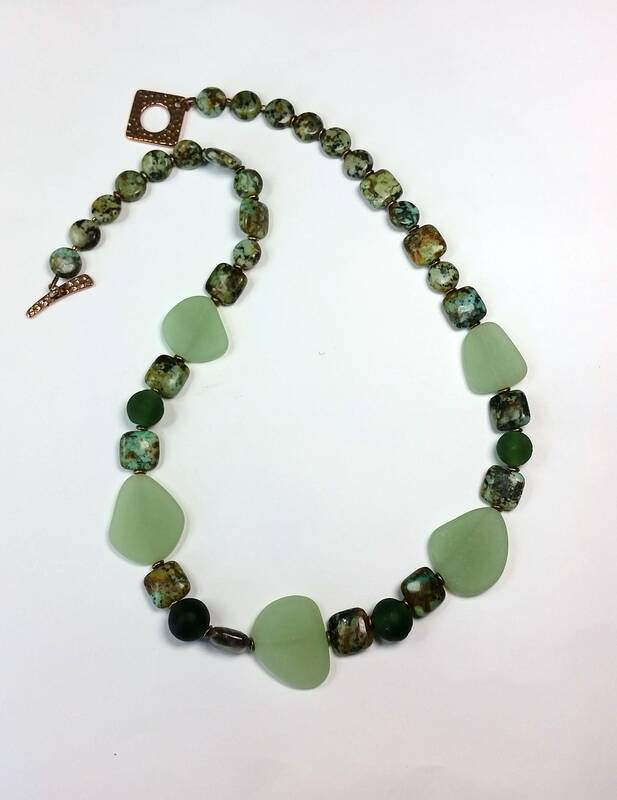 22 inches in length and has an antique copper hammered square toggle clasp closure. 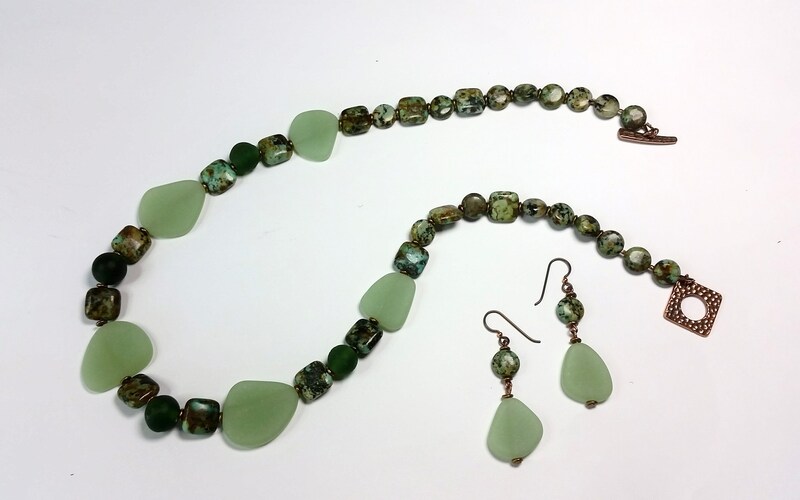 The matching earrings each have the lighter green sea glass beads along with a puffy coin shaped variscite bead. 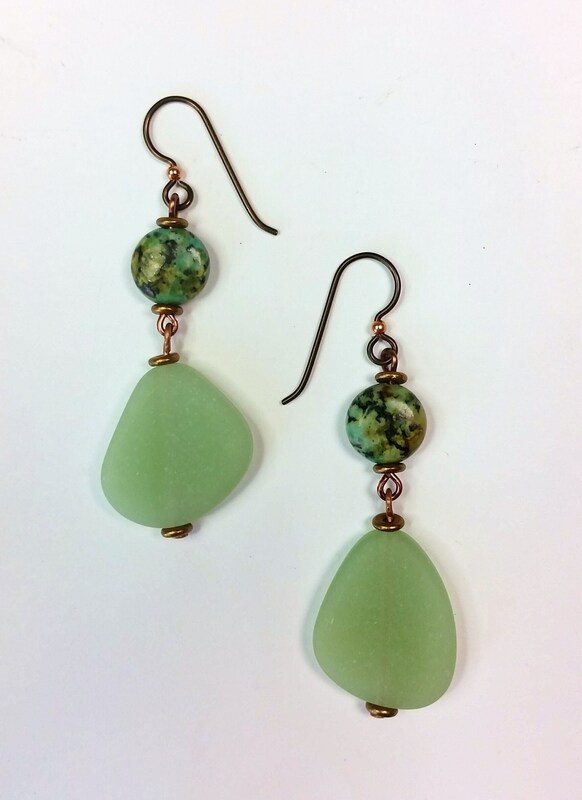 They are double dangles that are suspended by hypoallergenic Niobium ear wires in antique copper with a small shiny copper bead. 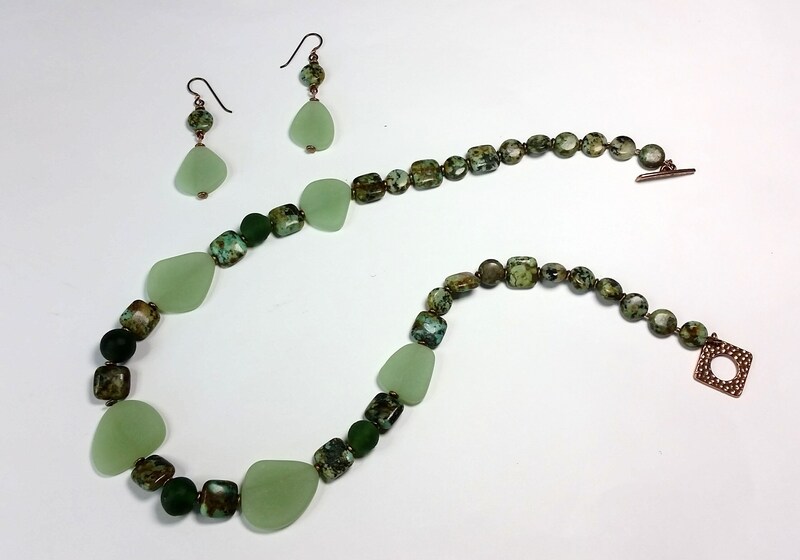 The lighter green sea glass beads vary some in size and are each approx. 1 inch ( + or -) in length. 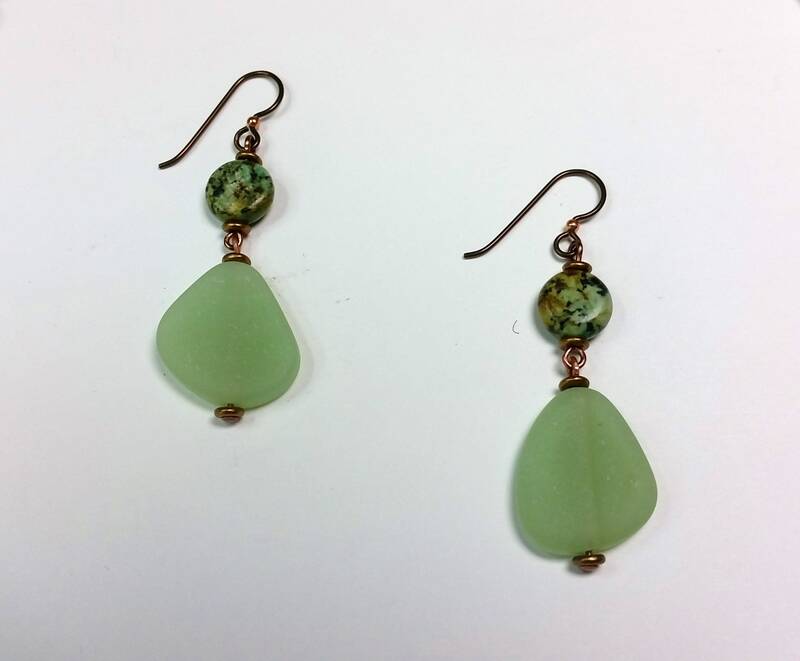 I selected the smallest ones for the earrings to keep the weight down!